Well, "Efficiency Rating" might be a bit of a misnomer, but listening to Aaron Schatz from FootballOutsiders.com on the BS ESPN Podcast, I was checking out the team efficency ratings. 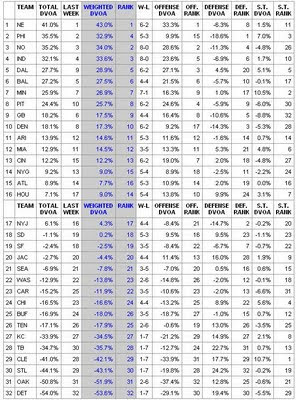 Not surprised at all that the Browns were near the bottom (actually I was surprised they weren't AT the bottom), but who knew that --compared to the baseline average--they have the #1 most efficient special teams in the NFL? Of course that doesn't offset the second-worst offense and fourth-worst defense.